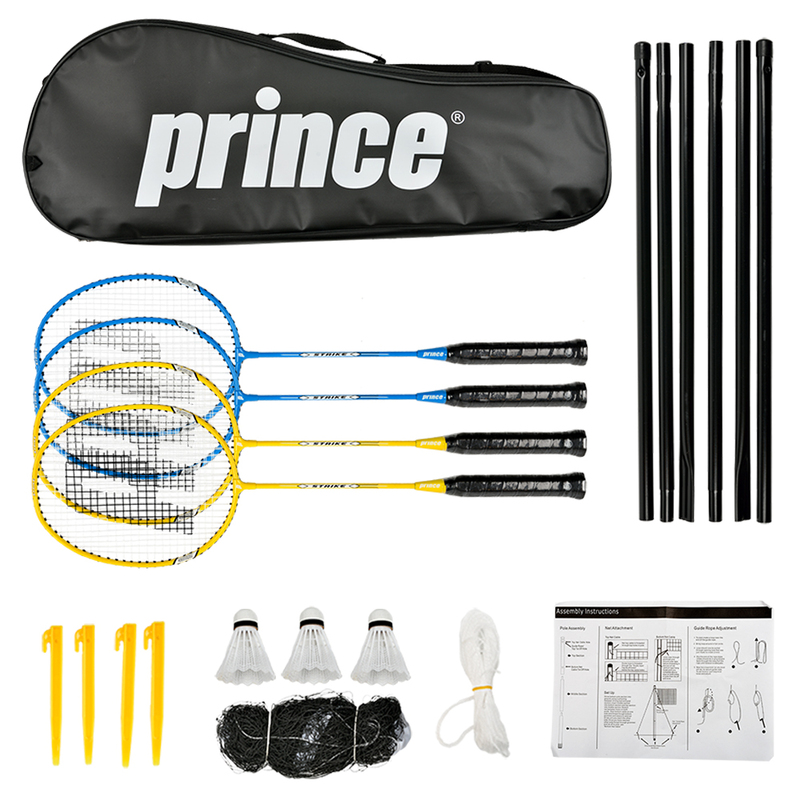 The Prince Strike 4 Player Badminton Set is the perfect quality pick and carry away badminton set, and is great for a casual game with friends or family anywhere. In the garden or park, or just for skill practice sessions, this set provides a well rounded kit with everything you need to get playing quickly. Something you can enjoy in the sunshine all year round, this Prince Strike 4 Player Badminton Set offers a net and steel post set, and 3 durable shuttles with quality cork base. Contains: 4 durable steel rackets with steel shafts (2 Blue & 2 Yellow) 1 Net 2 Steel posts and stakes to secure in the ground 3 Synthetic shuttlecocks 1 Carrying Case Set up instructions. MAKES A GREAT GIFT!